$1199.15+ Mid Range Gaming PC? Great looks without the hefty price. 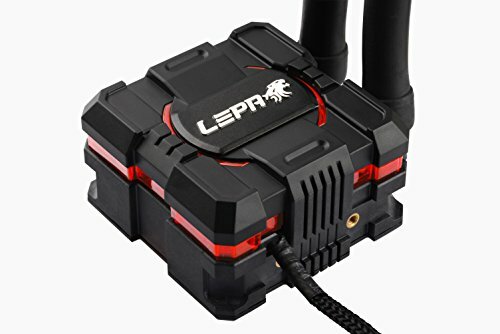 This thing is awesome works great, its powerful, and the price is great I would take one star away for having not having an RGB light instead its RED but it matches and the block looks great. Keeps the processor cool even under a stressful load test. This is one cool customer. It has been keeping my overclocked FX-8320 nice and breezy! 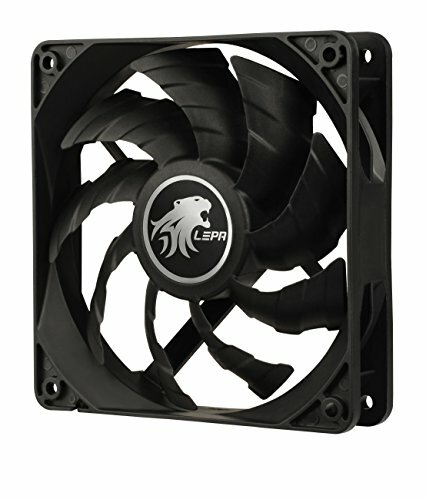 The stock fan is "you're kidding" loud. The thick, rubbery tubing (vs the plasticky corrugated tubing of my Seidon 120V) isn't the easiest to maneuver but once it's in place, it's in place. It works, but not as well as the aforementioned Seidon. 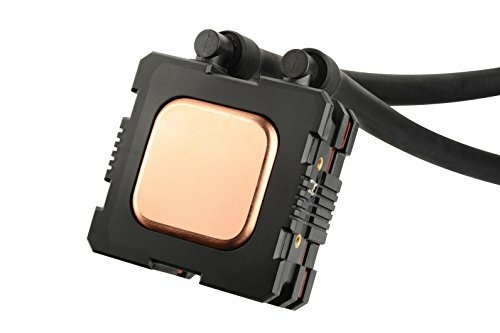 Good cooler, great price for an AIO, though if you're on a strict budget air cooling will be cheaper. It keeps my dad's AMD A10-6800k CPU at 59 idle and peaked only once at 92 under %100 load. It's also very quiet, at least compared to stock. It's tubing is very rigid, and may not fit great where a tight turn is present. It does however, look great! The stock fan is laughably loud. Installation is pretty easy. It doesn't cool as well as a Seidon 120V. The red LED is neat.... if you don't already have any light business going. It is cool, but that doesn't negate the fact that you're much better off with a Corsair H75. It cools, but not as efficiently: the stock fan is less effective and and noticeably louder. Even after switching the fans, the deficit improved, but still runs much warmer than the Corsair. The temperature difference between my two PCs' coolers is certainly apparent. Overall, not bad, but I'd make a different choice if I did it again. This thing is 3 years old and still humming along. It has the 8600k idling at 30 degrees C with a 4.7GHz overclock, and max temps observed have been in the low 60's during stress testing. For small cases, or tight on space, but still wanting a mild overclock to your system, this cooler would be my go to. Not to mention the price!